Every single Halloween it is so much fun coming up with a different set of "spooky" cookies for my niece and nephews, because I like surprising the little ones. This year I decided to make festive, hair-raising cookies iced in colors that conjure up the spirit of Halloween. The base cookie is a tasty, spiced sugar cookie which has brown sugar, cinnamon, ginger, nutmeg and cardamom. It's a great cookie to eat on its own (one of my favorites), but it's even better if you decorate it with a good royal icing. The first order of business whenever I set out to make iced cookies is to go through my expanding collection of cookie cutters to see what I need. This time around I selected some Halloween shapes that I hadn't used before and that I knew would make great, ghoulish treats. 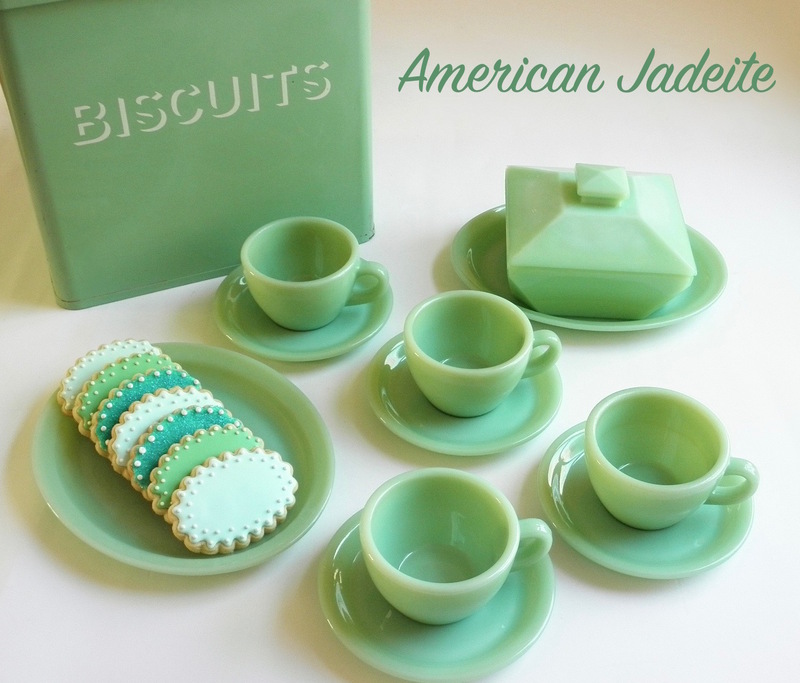 All of these cookie cutters, with the exception of 3 small cutters, are high-quality, American-made, copper cookie cutters that are definitely going to be used for years to come. 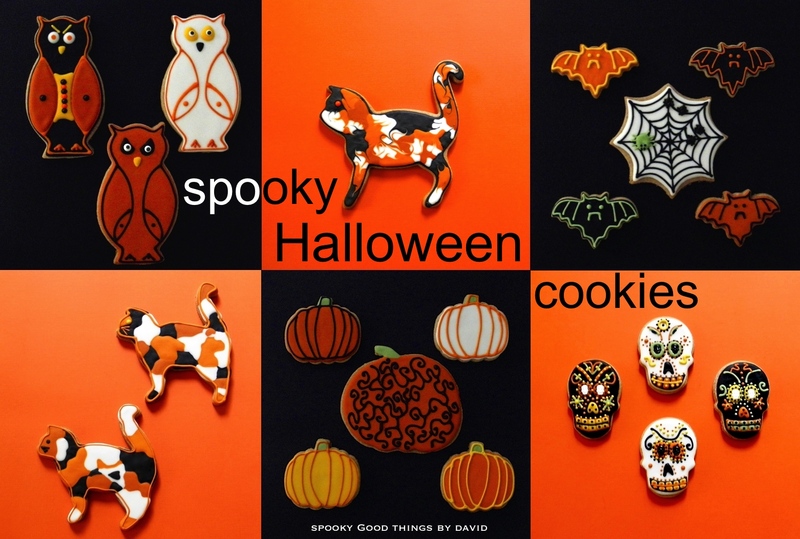 With an owl, some pumpkins, cats, a bat, and a skull, I cut out and baked several cookies. To ice them, I restricted myself to a small color palette in shades of black, white, burnt orange, pumpkin, golden wheat and a pale avocado color, because I didn't want to create too much of a fuss. Remember, kids don't want to wait too long to get their treats, so the faster you make them the better! Perhaps my favorite of the colors were the two shades of pumpkin (photo of the iced pumpkins above). To achieve those deep, almost burnt orange tones, I mixed orange paste food coloring and then darkened it with a nut brown color. Wait a minute or two to gauge the tones when mixing. The shades are subtle, but very effective. My preferred way to ice cookies is to lay out everything on the counter in an orderly manner, and within easy reach. A cake decorating turntable gets used to ice a number of cookies at once. Bats, pumpkins and skulls take no time at all to outline and flood this way. If you have candies, nonpareils and sanding sugars, have those handy, along with all of the other necessary tools to apply them with. Halloween Calico Cats: The haphazard patches of these calico cats makes them charming. Outline and flood patches in black, pumpkin, burnt orange and white royal icing throughout the body of the cat, making sure to connect the colors (if you're going to marble the colors, do so with a toothpick, making sure to wipe the toothpick between colors so that they don't get muddy). Let dry completely. Trace the outline of the cat by piping a bead of orange royal icing around the perimeter of the cutout and then pipe whiskers, and a dot for an eye. Let dry. The Owls and Kitty Cat Cookies are perhaps my favorite of the bunch! 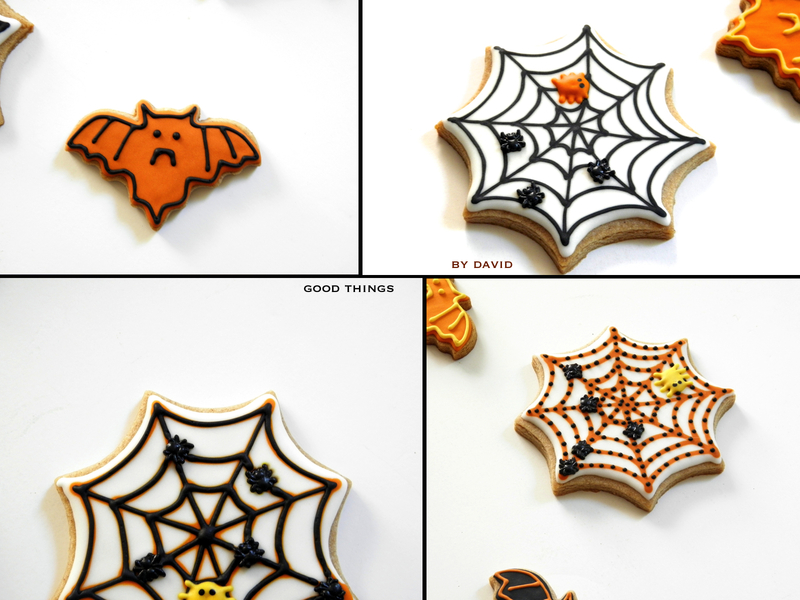 Halloween wouldn't be the same without some spiders, spiderwebs and a few adorable bats. I love these two cookie cutters. Their icing designs are pretty simple to do. Bats: Outline and flood the bases in the desired color and let dry. Pipe a bead of royal icing in a contrasting color to delineate ears, wings and tails. Pipe dots for eyes and small fangs. Spiderwebs: Outline and flood bases in white royal icing. For smooth surface art, pipe spiderweb design while the base icing is still wet. Attach any spider candies to wet surface and let dry. Pipe a chubby spider, making sure to add 4 legs to each side and 2 dots for eyes. For a raised design, let base dry completely and then pipe spiderwebs. You can then add dots along the weaving or leave as is. Attach spider candies and pipe a chubby spider with a contrasting color of royal icing, attaching 4 legs per side and adding 2 dots for eyes. These renditions of Dia De Los Muertos skulls were inspired by a trip I took to Mexico many years ago during the month of October. Merchants sell a multitude of skeleton and skull sugar designs throughout Mexico in the month of October to commemorate the dead. It is a tradition that has been practiced for many years, and although it is not one that is observed here in the United States, many of us have come to associate these skulls with Halloween more and more. Their colorful designs are mesmerizing to say the least, and I think that they're perfect for this time of year. The pumpkins couldn't be any easier. Choose whatever colors you want for your sugar cookie skulls, but make sure that you have a good array with which to work. What I find to be most important is that you adhere to symmetry. Every image I've come across of a Dia De Los Muertos skull has a symmetrical design. Whether you pipe flowers, circles, dots, squiggles or arches, make sure that they are the same on each half of the skull. For my cookies, I added small skull candies for the center of the eyes onto a wet base (this was left to dry), and then I piped royal icing all around them to encase the candies. BOO! 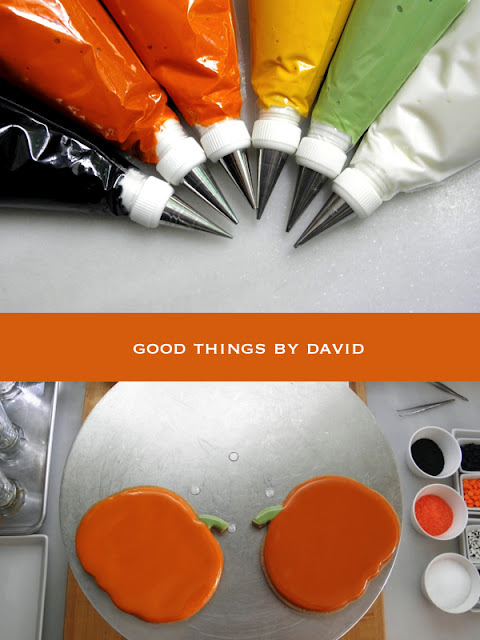 The pumpkins were nothing more than having a base outlined and flooded with a single color, which was left to dry, and then having the gourd sections piped with a #1 piping tip in a contrasting color. Don't forget to give each pumping a green stem. The larger pumpkins were piped with a black filigree pattern. Easy! If you want to bake cookies with an even thickness, roll out the cookie dough (I place it between two sheets of parchment) between two round or square dowels that are 1/4" or slightly thicker. These wooden dowels can be found at craft stores or the hardware shop near you. After the cookies have dried completely, which can take up to one day depending on the humidity of your home, it's time to package them up for gift-giving. I love the warm, bright shades of orange this time of year, and what better way to tie up a bagged cookie than with a ribbon? Packaged into clear cellophane bags, the cookies look even more enticing. 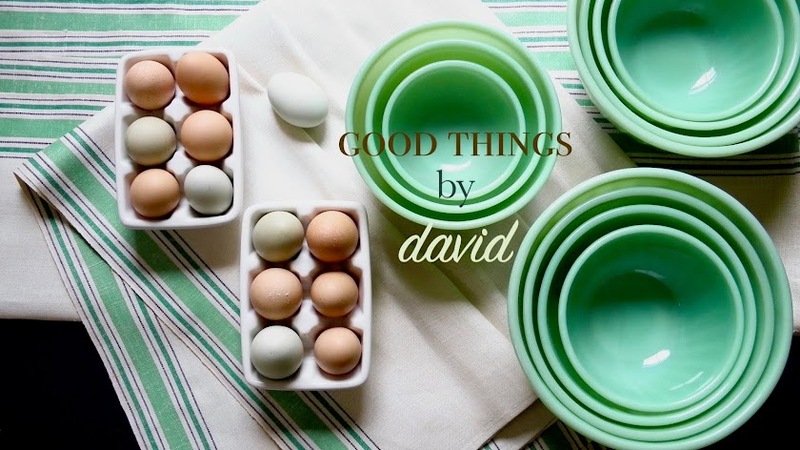 Another great alternative is to use treat boxes with a clear top. However, if you're going to have these at your Halloween party, lay them out on platters, cake stands, or stand them up in large jars filled with sanding sugar. Let the little ghouls and goblins choose their own. Something tells me that my niece will like the cats best, but she may prefer a bright pumpkin or a small bat cookie. The nephews will probably dig into the spiderwebs and sugar skulls first. Either way, I think they're going to like this year's Halloween cookies. Spooky, macabre, hair-raising and ghoulishly fun, these Halloween Cookies are sure to brighten any trick-or-treater's goodie bag this year. Remember, only give out baked goods to friends and family. There is plenty of time to make your very own Spooky Halloween Cookies. 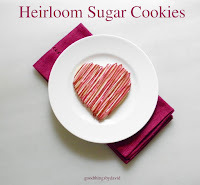 Give yourself a weekend to roll out cookie dough and bake the shapes, then mix royal icing, and allow a full afternoon for decorating the cookies. 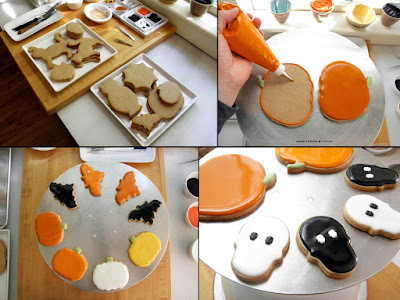 If you're going to host a Halloween party, I highly encourage you to set up a cookie decorating station for kids and adults, laying out baked cookies, royal icing in pastry bags or squeeze bottles, and plenty of sanding sugars and decorative candies so that guests can embellish their treats. It's all about using one's imagination and letting artistic expression take shape on the cookie. Have fun decorating your Halloween goodies! Thanks Kenn! I want to see you baking and decorating cookies soon. Get those cookie cutters, cookie dough and royal icing ready! 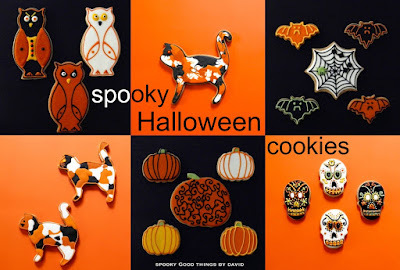 Love the calico cats, so original I can't say I have ever seen cookies decorated like that before, just perfect for Halloween. I also love the detailing of the skulls, they remind me of the Mexican holiday Day of the Dead sugar skull treats. 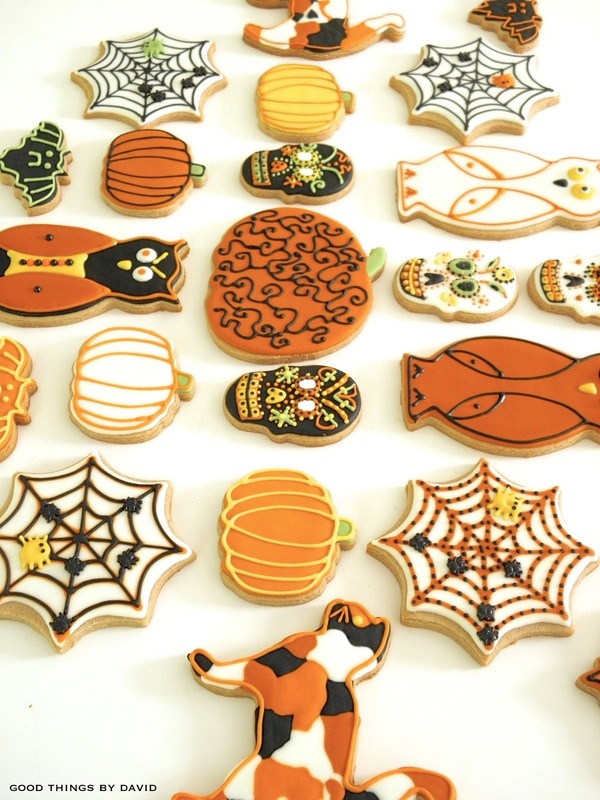 I have an old Williams-Sonoma Halloween 8 piece cookie cutter set that is just begging me to try your cookie recipe, thanks for sharing it! I love the colorful skulls. So cool ! Thanks Coco, my nephew loved them too! This was the first cookie he ate when they opened their boxes.